A study published yesterday states that researchers are arriving at contradictory conclusions about how well tropical forest biodiversity can recover after degradation. What does this mean for the scientific method and the protection of forests into the future? It is the mission of Dr Andrew Whitworth to understand the biodiversity value of regenerating topical forest after it’s been degraded by logging, agriculture, or other environmentally damaging practices. Only 36% of the world’s forests are classified as primary, the rest has been impacted by human activities, so understanding the importance of protecting regenerating forest is vital in planning conservation strategies. During his PhD research, Whitworth found that scientists were in disagreement over this issue. Some studies suggest that secondary forests will become increasingly critical for conservation as the population of people in tropical countries increases and primary forest is converted to agricultural land and later abandoned. While other researchers argue that the major conservation priority is to protect remaining primary forest. To come to any conclusion, we first need to understand how well tropical forest biodiversity can recover after degradation. Determining this isn’t easy, as studies from different places across the world are consistently producing contrasting results. Whitworth wanted to know why. Carrying out his research at the Manu Learning Centre (MLC), a field station in the Amazon rainforest of south-eastern Peru, Whitworth discovered that different surveys to assess the biodiversity of a regenerating forest were producing different results, despite being carried out at the same site. This inconsistency means that the survey methodology that scientists decide to use is extremely important, as it could lead to over or underestimating the conservation value of different types of regenerating tropical forests. This will influence how we prioritise conservation action. The investigation: what was studied? The pitfall trapping method indicated that there was no difference between amphibian biodiversity in a once completely cleared forest compared with a selectively logged forest. Whereas the nocturnal transect method showed that a selectively logged forest has higher levels of biodiversity. The investigation also suggested that arboreal amphibian species are more sensitive to changes in their environment and this should be taken into account when researchers are choosing survey methods. The MLC field station is an area of regenerating lowland rainforest within the Manu Biosphere Reserve, a UNESCO World Heritage Site that’s one of the world’s most biodiverse and important conservation areas. Whitworth carried out his research on amphibians, as they are key indicator species and can tell us a lot about the health of their environment. He compared two different but commonly used survey methodologies to study amphibians, pitfall trapping and nocturnal transects. The surveys were carried out in two different forest types within the protected MLC reserve; one forest area that had been completely cleared in the past, while the other forest area had been selectively logged. Both areas have been regenerating for at least 30 years and have been actively protected for over a decade. The methodologies: which is better? Whitworth’s results demonstrate that assessing the same taxonomic group, at the same site, using different methods can produce contrasting results. If scientists, for example, were to only use the pitfall trapping method they could be underestimating the biodiversity level of selectively logged regenerating rainforest and thereby devaluing its conservation importance. At the same time, it is not a simple matter of one methodology being better or worse than another. Instead, it is important that the scientific community increases its knowledge on how and why different methodologies produce contrasting results. Whitworth states that combining methods is often the preferred approach, while more research is needed into comparing methodologies side-by-side at the same study sites. Such studies will help unravel the factors relating to how well tropical forest biodiversity can recover from environmental change, giving conservationists the knowledge they need to plan strategies and prioritise action to protect our natural world. 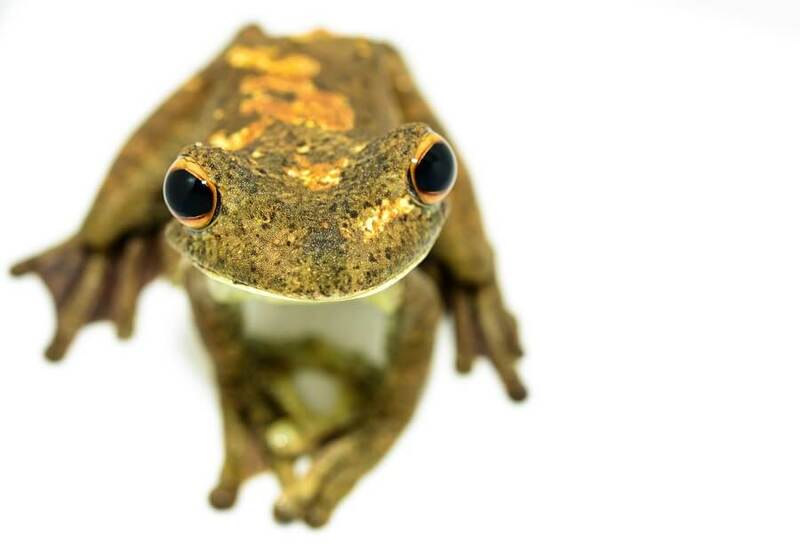 The newly published paper by Whitworth and co-authors is entitled Methods matter: Different biodiversity survey methodologies identify contrasting biodiversity patterns in a human modified rainforest — A case study with amphibians and was published by Science Direct. It’s available to read for free for the next 50 days.